Azur Lane Guide - Which starter ship should you choose? So you have just started playing Azur Lane, the mobile shmup RPG featuring ship girls based on WW2-era warships, which has been gaining popularity worldwide. After getting a taste of the story with the prologue battle, you now have to choose one of the three starter ships that show up on the screen. Wonder which one you should pick? We're here to help. Each starter ship has her own strong and weak points. But no matter which ship you choose, all of them will grow up into equally strong destroyers that will be a formidable force in your fleet. Each of them has a skill that temporarily enhances their stats and can be activated with a 5% chance per each shot fired from the main gun. 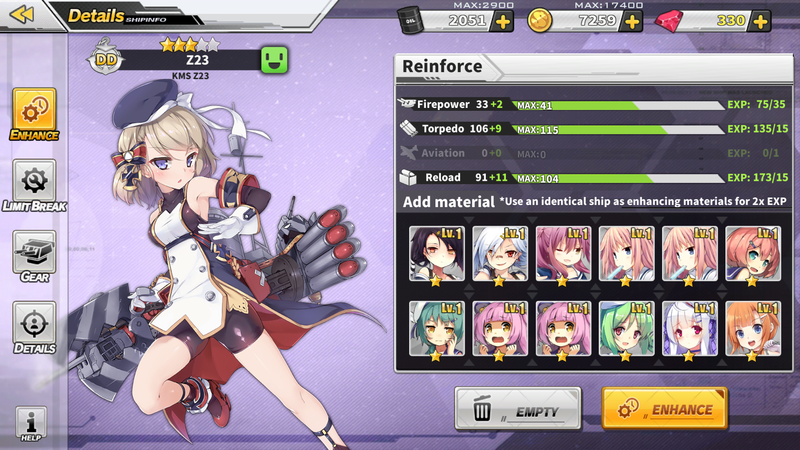 Furthermore, although still not implemented at the English launch yet, all starter destroyers have received retrofits that make them even stronger and raise their rarity rank from Elite to Super Rare. After completing their retrofits, they can learn a new skill that has a 40% chance of activation for every 20 seconds during battles. 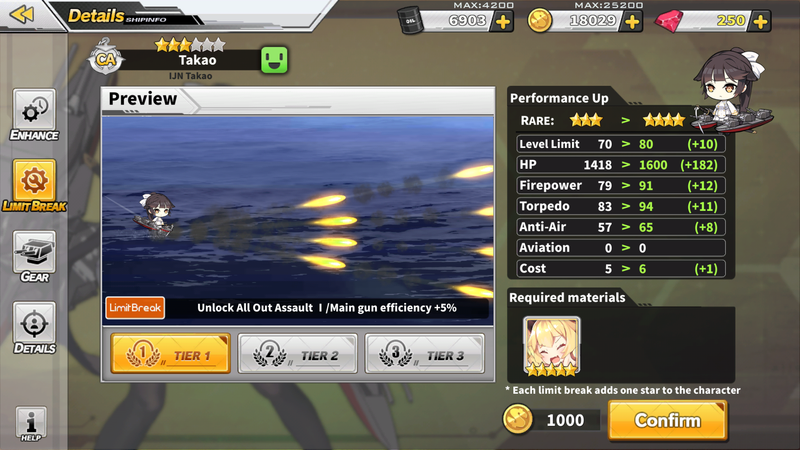 The probability can be improved to a maximum of 70%, and once the skill is activated, they can launch unique barrages with a mixture of gunfire and torpedoes along with additional temporary buffs that differ with each ship. As an additional note, the third starter ship available will differ depending on the language version you're playing. In the English and Chinese versions, you can choose the German destroyer Z23. The Japanese and Korean versions will have the IJN Ayanami in her stead. The remaining destroyer is being reserved as the last reward for the collection of the starter squad. To unlock the fourth destroyer, you must collect the first three starter destroyers and Limit Break each of them three times to the max. The starters can be obtained as Elite drops in the light construction pool and all non-Ambush battles from stage 2-1 onwards. 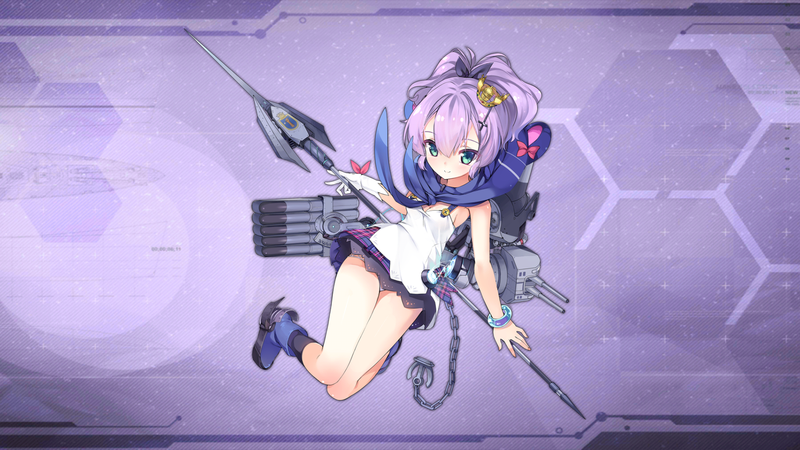 Once you have obtained the fourth destroyer, you'll also unlock the chance to build her in the light construction pool. We have compiled the details and strengths of each starter ship, which you can check out right below. The USS Laffey that appears in this game is DD-459, the Benson-class destroyer of the US Navy which fought valiantly at the Naval Battle of Guadalcanal. 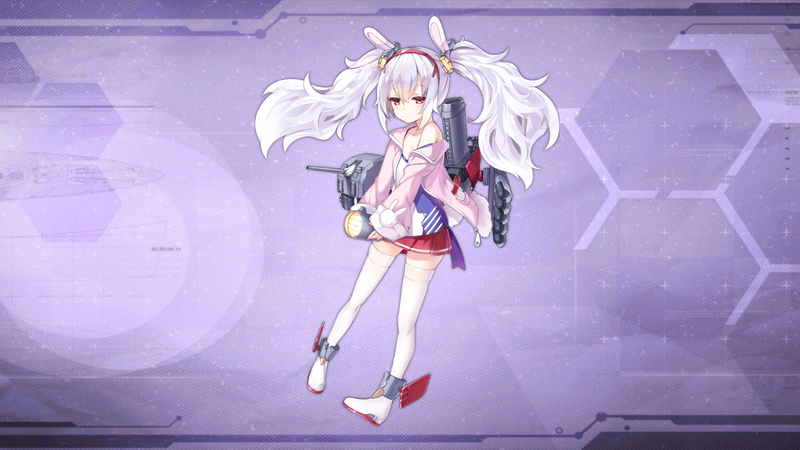 Laffey can be considered as an all-around destroyer with a rather balanced stat distribution between offense and evasion. Her weapon efficiency rates also start at 120%. The efficiency for the main gun can be improved to 160% while torpedo and anti-air only go up to 125%. However, Laffey is distinguished for having the highest anti-air and reloading stats; the latter means she will be able to fire rapid shots in succession, and this stat may get boosted even further later on. Laffey's skill, the Solomon Wargod, further emphasizes her all-around ability as it gives a probability to boost her firepower, reload, and evasion by 20% each for 8 seconds. When this skill is enhanced, the boosts can be raised to 40%. 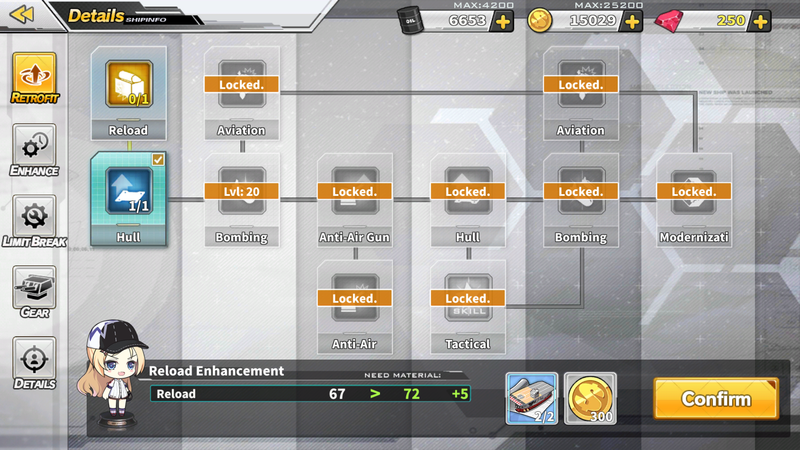 When Laffey has been retrofitted, she can learn a new skill named Termination Mode. When this mode is successfully activated during battle, her reloading stat will get a tremendous boost of 200% for 10 seconds. HMS Javelin (pennant number F61) is a J-class destroyer in the Royal Navy. She was one of the only two ships in the class that survived World War II. Although Javelin has the lowest HP among the bunch, she boasts the highest evasion stat. This means she can make many bullets miss her, which actually ensures better survivability in the long run. For her offensive capabilities, she has a slight preference towards torpedoes over the main gun, with max efficiencies of 145% to 125% respectively. Her first skill, Javelin Raid, further boosts her evasion stat by 30% for 8 seconds upon activation. When this skill is fully enhanced, the evasion boost will raise even further to 60%. After a retrofit, Javelin can learn a new skill for a chance to activate Assault Mode-EX during battles. 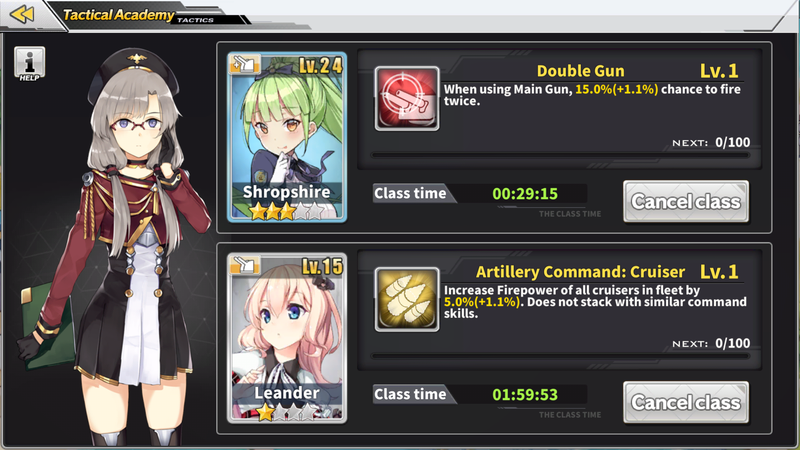 In addition to the gunfire + torpedo barrage just like the rest of the group, she gets a 30% boost to her Torpedo stat for 5 seconds. So if you want maximum damage when deploying a retrofitted Javelin, you may want to consider waiting until she has activated Assault Mode-EX before launching her torpedoes. 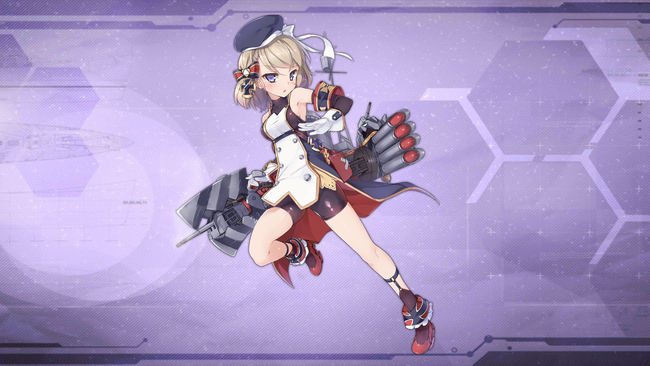 Z23 is the third starter ship available for English and Chinese version players, while Japanese and Korean players will have to unlock her from the starter collection rewards. She is the first ship in the Type 1936A destroyer class and also the first Zerstörer not to be named after a German sailor. She saw some action at the Battle of the Bay of Biscay as well. Compared to Laffey and Javelin, Z23 is more offense-oriented with the highest firepower stat among the starters. To further emphasize her strong point, Z23 even receives the distinction of being able to equip a Light Cruiser gun, which definitely packs more punches than a Destroyer gun. She also has the highest HP but the lowest evasion and reloading stats in the group. Z23's skill, Ironblood Vanguard, increases her firepower by 30% for 8 seconds once activated. Enhancing this skill will further increase the firepower bonus to a maximum of 60%. After Z23 has been retrofitted, she can learn a new skill: Destruction Mode. When entering this mode, she will deploy 2 rotating shields which can negate up to 5 rounds. Her main gun's critical rate is also increased by 100% for 10 seconds. 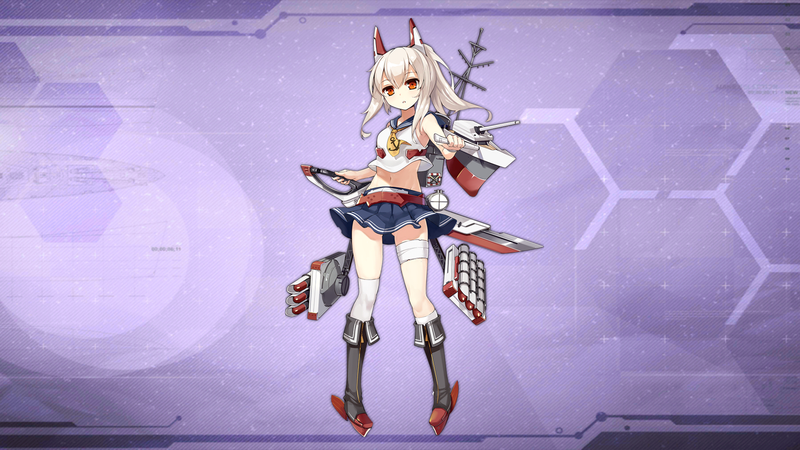 Ayanami is available as a starter ship for players in Japan and Korea, but for those who are in the China and English regions, she can only be obtained through the starter collection rewards. She is the lead ship of Ayanami class, the second sub-class of Fubuki-class destroyers. She was well known for her participation in Japan's conquest of Southeast Asia and the Naval Battle of Guadalcanal. 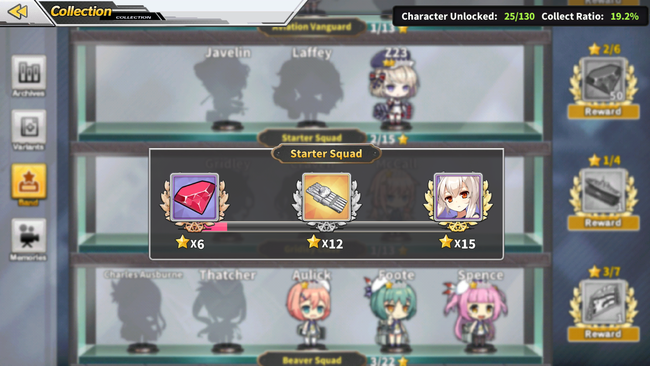 In Azur Lane, Ayanami is a unique destroyer with impulsive damage output. Although she is offense-oriented like Z23, she has an exclusive focus on torpedoes. While her Gun and AA efficiencies are well below 100%, her Torpedo weapon efficiency is on a whole different league with a staggering 165%. If you have Ayanami in your fleet, you will want to make sure that she equips the best torpedo available in your inventory. 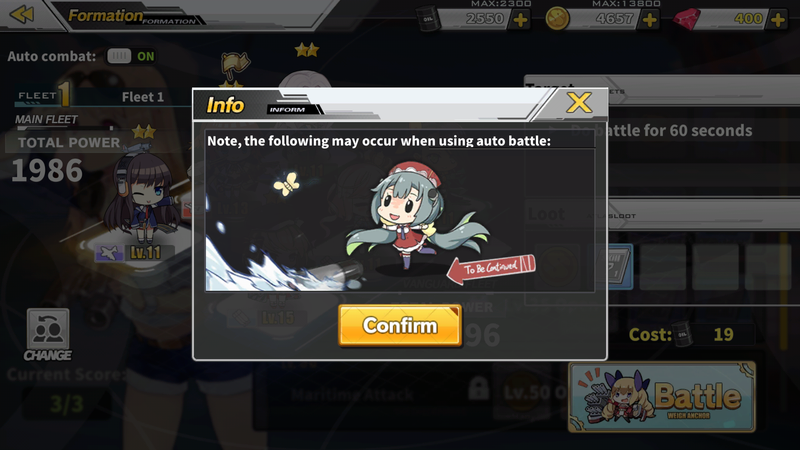 When Ayanami activates the Demon God skill, she will get a 30% boost to her Torpedo stat for 12 seconds. Enhancing this skill will further improve the stat boost until 60%. Ayanami can also learn a new skill post-retrofit. After launching a barrage from activating Demon Dance, she gains a 30% boost to her evasion for 5 seconds. 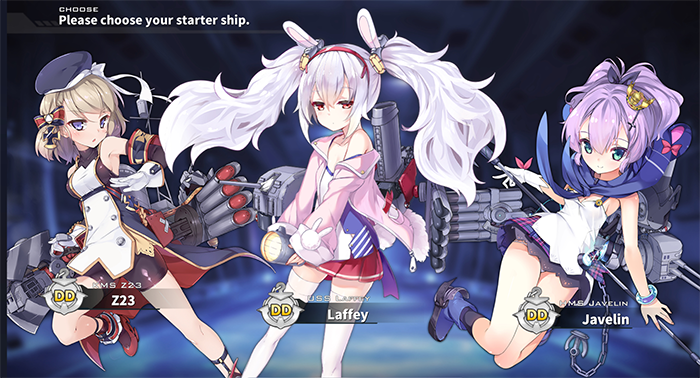 Once you have finally made a choice on your starter ship, you can move on to our Beginners Guide, where we provide tips that help you get the fun of playing Azur Lane.